You see a map that demonstrates territory of Russia. topographic map of Tetyushi calibrated download for free. topographic map of Zhukovo calibrated displayed. map of Zelenovka for gps. detailed map of Volzhskoye calibrated for gps. actual map of Verkhniye Tarkhany with gps calibration presented. map of Uryum download for free. free map of Udel'noye-Nechasovo here. interesting map of Staroye Sumarokovo и OziExplorer calibration for you. map of Shigali и OziExplorer calibration this. map of Proley-Kasha и OziExplorer calibration this. 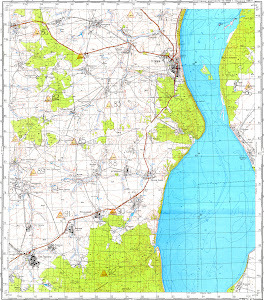 topographic map of Polyanki 1 cm to 1 km free download. free map of Pochinok-Novol'yashevo presented. topographic map of Pervomayskiy here. map of Parashino download for free. map of Narmonka with gps calibration this. topographic map of Nizhniye Tarkhany и OziExplorer calibration for you. free map of Novoye Sumarokovo with gps calibration for Garmin.